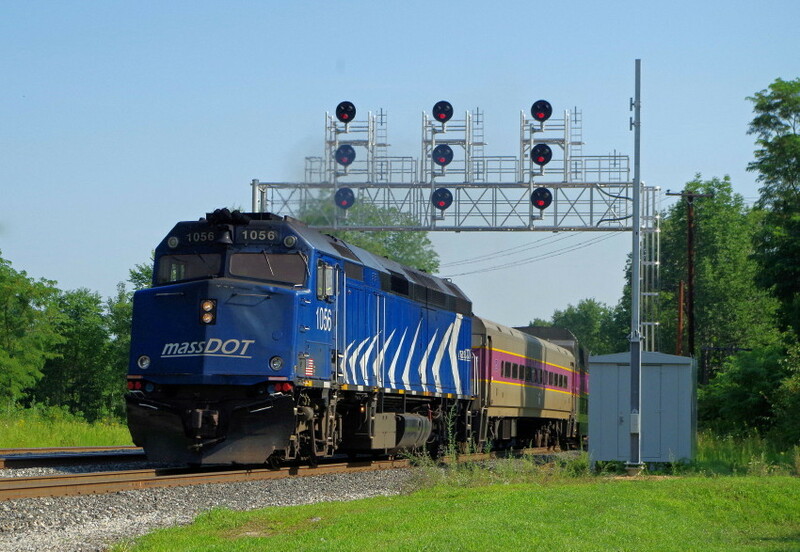 F40 1056 leads Keolis train 403 past the signal bridge on its approach to Wachusett Station. Note addition of EMI tower. Guess the new antenna means PTC HW installation is underway along the Pan Am owned stretch of track here - good to see!